Malaria? Africa, India, and south-east Asia. Yellow fever? South America and Africa. In Europe and North-America, insect-borne diseases seem far away. Western mosquitoes are just plain annoying, but do not transmit dangerous diseases. But what about that little, black insect that wanders through our forests looking for warm blooded creatures? Ticks transmit Lyme disease, an insect-borne disease that can be life-threatening. Yearly, around 300,000 people get infected, and that is only in the United States. Time to panic? If you have a permethrin based tick protection, then no. We should worry about Lyme disease for several reasons. First, it is an infectious disease, meaning hostile micro-organisms spread throughout the body and to the heart, the nerve system and skin. This results in a variety of symptoms, making Lyme disease hard to diagnose. The spirochetal bacteria that get transmitted to the host may stay there for months without being detected. In an early stage, Lyme disease causes skin infections, fever, muscle aches and a sore throat. Later, the disease may cause serious cardiac problems, meningitis, inflammation of the spinal cord’s nerve roots, and even neuropsychiatric disorders. Most dangerous of all, however, is our lack of awareness. Most people do not know about the risks that come with Lyme disease, let alone that they check themselves or their children for tick bites. But although we may not see them; ticks are everywhere. And when Lyme disease is detected too late, it can be fatal. We did not write this article to spread panic. That would be mean. We wrote it to tell you there is a way to fight Lyme disease and add value to your products at the same time. 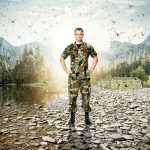 By arming your textiles with the right insect proof agent, you can protect your customers against the nasty little bloodsuckers and lower the number of people that get infected with Lyme disease. Because why would you cure something that could have been avoided in the first place? That is what we thought. And we went looking for a solution. Several insect proof agents have proven to be very effective against insects. Products containing DEET, for example, are often used to scare them away. Sadly, DEET is very ineffective when fighting ticks. In fact, people seem to dislike the smell of DEET products more than the nasty little bloodsuckers do. You might say DEET is a human-repellent rather than a sustainable insect solution! Luckily, there is a second option. Permethrin has been proven very effective to keep ticks at a distance. Time to find out more about it. Permethrin is a biocide that attacks the nerve systems of insects. It is odourless (true story) and the best kept secret of many armed forces all around the world. Ticks will not come anywhere near permethrin, and if they do, they die. This is good news, but it gets better. Permethrin can be added to textiles as a finish, and last up to one hundred washes. This means that people do not have to apply the permethrin product on their skin directly. A permethrin impregnated piece of clothing is enough to stay free from both ticks and tick bites. All you have to do, is wear it. Permethrin is safe to warm blooded creatures (hence, the ones you are trying to protect) as their bodies know how to break down the substance. When using permethrin based tick protection on your textiles, you offer more than just fine garments. You provide them with an invisible shield that protects your customers against an insidious disease that many of us know so little about. If you want to add a permethrin based tick proof agent to your textiles, you should know about permethrin and its biocide regulation. Depending on where you are and what you sell, there are certain rules you should comply with. In a separate white paper, we tell you all you need to know. Still got questions? Just give us a call. We have a large experience registering for permethrin products and we gladly help you get your very own tick protection that ticks all the boxes.